BERLIN (Reuters) - The mayor of a small town in Germany on Thursday called on Google Earth to delete a reference to a nearby "Mount Hitler" from its geographic image service, saying it was misleading. 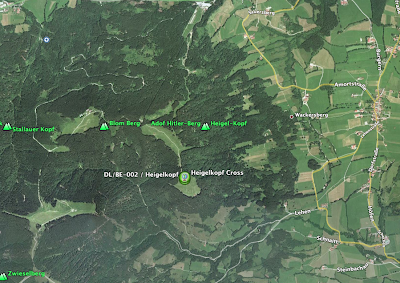 Andreas Wiedemann, mayor of Bad Toelz, south of Munich, said the peak near the Bavarian town had been known as Mount Hitler for a short time during the Third Reich but had been given back its original name of Heigelkopf after World War Two. Google Earth users who call up a map of the area are given both names for the 1,205-meter (3,950 feet) mountain. "We've been telling Google for years that they should take it down immediately," Wiedemann told Reuters. "It's misleading as it was only called that for a few years." Google Germany spokesman Stefan Keuchel said the Hitler name had appeared due to a "technical accident." The company was investigating and would consider deleting the reference if there was no historical reason for its inclusion.